Millennium Partners' latest Boston luxury condo development, Winthrop Center, is now under construction. 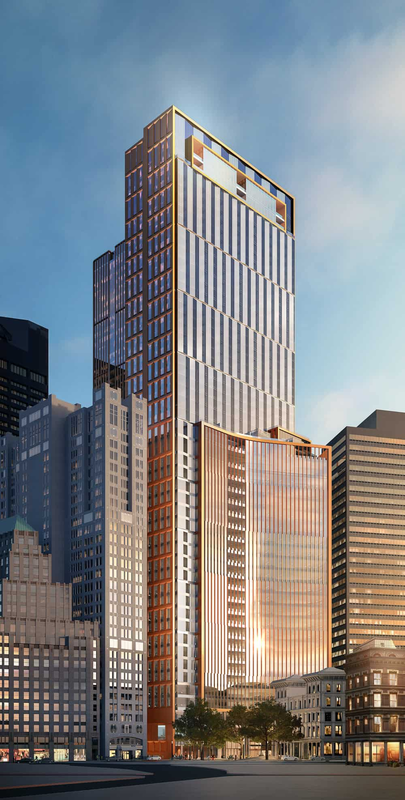 The upcoming Winthrop Square Tower will rise 53 stories, 691 feet and house approximately 500 luxury condos on its top 26 floors. Winthrop Center will cost around $1.3 Billion to build and will also have 750,000 square feet of commercial office space on 20 floors below the luxury residences. The first three floors of Winthrop Center will contain 12,000 square feet of public space, coined the "Great Hall" and will create a new connection between Winthrop Square and Federal Street. The connection will be lined with 31,000 square feet of restaurant and retail space as well as 21,000 square feet of shared meeting space. Winthrop Center will also have 550 garage parking spaces spread over five levels underground. Winthrop Center will be built to LEED Platinum standards for energy efficiency. Occupancy is expected by 2022. Winthrop Center is ideally located on Devonshire Street in the heart of Downtown Boston steps from restaurants, bars, shopping and close to the Boston Waterfront and Rose Kennedy Greenway. Millennium Partners also developed Millennium Place and Millennium Tower in Downtown Boston, both were incredibly successful luxury condo developments. Click here to receive updates from Elevated on pre-sales, pricing and additional information. The past year in the South Boston luxury condo market has been record setting with 3 sales over $2,000,000 and 22 sales topping $1,500,000. However, the newly listed Penthouse at 100 A Street, a boutique 8 unit new construction condo development, is attempting to shatter the previous record of $2,150,000 set in early 2018 by a condo on Farragut Rd. With an asking price of $5,250,000, Unit PH boasts $3800+ square feet of living area, 4 bedrooms, 3.5 bathrooms, private elevator entry, 2 garage parking spaces and a massive roof terrace. The Penthouse will also have Wolf, Sub Zero and Asko appliances along with smart home technology. At nearly $1,381 per square foot, the Penthouse would crush the previous South Boston record by over $3,100,000. 100 A could potentially set two South Boston condo sales records with another 2 bedroom unit under agreement in the building at $2,200,000. Ideally located at the former home of My Diner a short distance from Boston's thriving Seaport and next to other successful luxury condo developments Port 45 and 14 West Broadway, 100 A Street counts location as one of its most valuable attributes. Stay tuned for sales numbers, closings at 100 A should start in the first quarter of 2019. 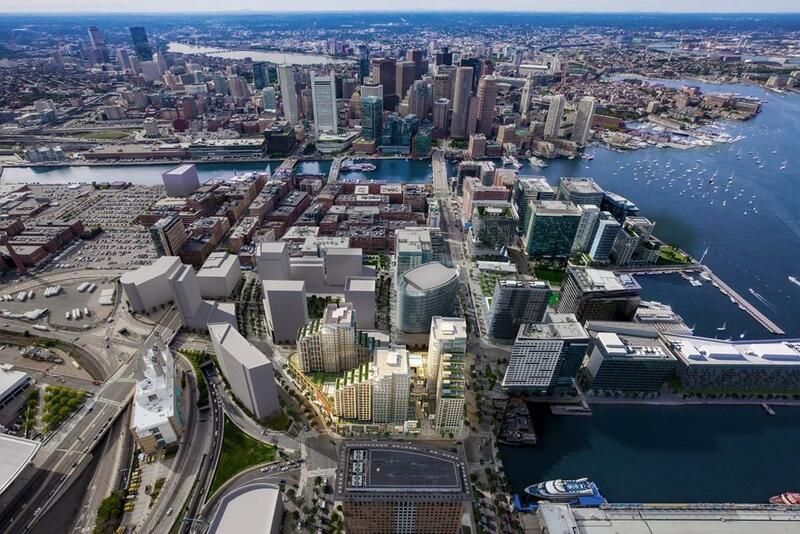 Echelon Seaport broke ground earlier this year and sales are moving along swimmingly. The luxury, amenity-rich development ideally located on Seaport Boulevard across from Boston Harbor, is defined as the "new definition of luxury urban resort living." This fitting description refers to the 50,000 square feet of indoor and outdoor residential amenities, a slate that is unmatched by many of the surrounding luxury condo buildings. These amenities include three swimming pools, 1 indoor and 2 outdoor, fitness center, golf simulator, basketball court and a club level featuring a fireplace lounge, private dining room, large outdoor terrace with grills and fire pits. Echelon Seaport will also feature an open air retail mall on the first two levels. Residents will enjoy valet garage parking, 24/7 concierge, doormen and porters. 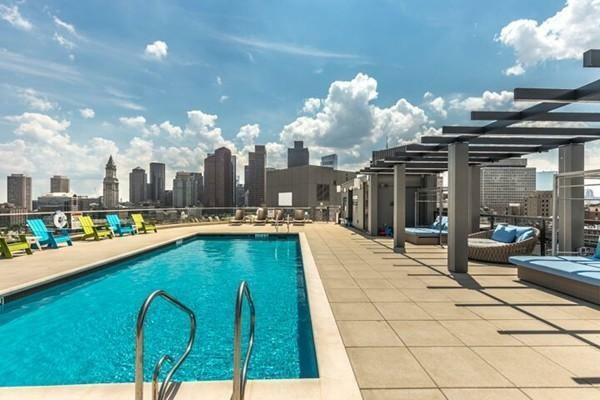 Pre-sales at Echelon Seaport are well underway with studios starting in the high $700,000s. Below are a few examples of units currently available on the open market at Echelon Seaport. For a full list of available units at Echelon Seaport, click here! The Vista, located at 410 West Broadway in South Boston, has arrived. 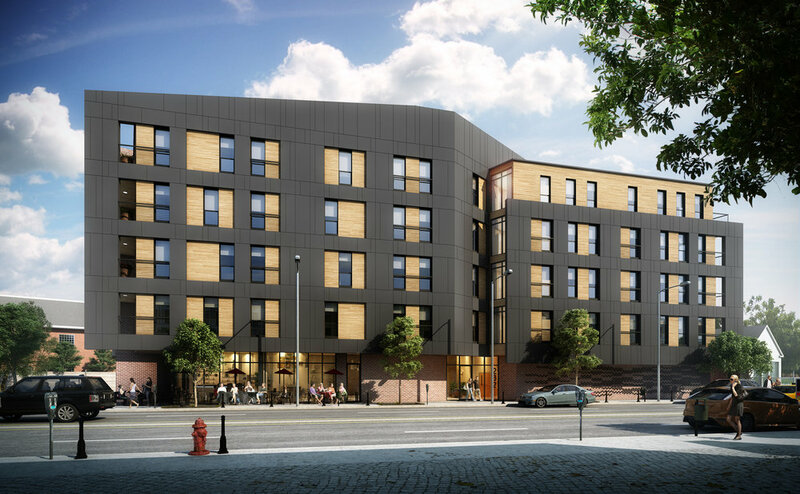 Featuring 24 new construction luxury condos, The Vista is ideally located next to Loco on West Broadway, on multiple bus lines and is a 10 minute walk from the Broadway T Station. Condos at The Vista will feature open kitchen/living areas, private decks, Thermador stainless steel appliances, hardwood floors, in-unit laundry and garage parking. Master baths will feature Porcelanosa tile, double vanities and oversized showers. The Vista will also feature excellent amenities including a sky deck with bar and grill, unobstructed city views, a recreation room with pool table and theater room. Condos at The Vista start in the $800,000 range and are available now, for more information contact Elevated. Metro9 Somerville is now pre-selling. 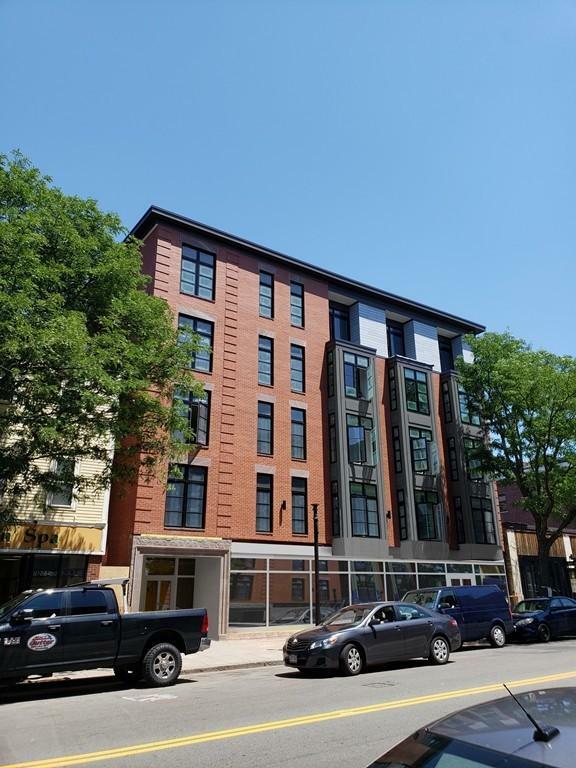 Formerly known as the Millbrook Lofts, Metro9 is a brand new 100 unit condo conversion situated at 9 Medford St on the Somerville/Cambridge line. Metro9 is ideal for buyers who work anywhere from downtown Boston to Cambridge as it is within walking distance of Kendall, Union, Inman and Lechmere Squares. Metro9 is also a 10 minute walk to the Green Line and within 20 minutes of the Orange and Red lines as well as many other public transportation options. Metro9 is walking distance to dozens of restaurants, bars and shopping options. Units at Metro9 will feature large windows with city views, high ceilings, exposed concrete columns, open living/kitchen/dining areas with Quartz countertops, in-unit washer/dryer and private balconies for select residences. Upgrade packages for units at Metro9 also include Bosch stainless steel appliances, waterfall kitchen islands and flooring upgrades. 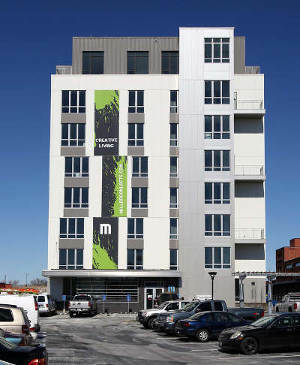 Metro9 is energy conscious symbolized by its LEED Gold Certification from the U.S. Department of Green Energy. Metro9 also puts the spotlight on local artists by featuring local art work in common areas, the lobby and in 5 artist lofts within the building. Units are now available at Metro9, contact Elevated for details and appointments. Cronin Development, developer of the long anticipated 150 Seaport Boulevard in Boston's booming Seaport neighborhood, has announced that the luxury tower will be home to the first ever St. Regis branded luxury residences in Boston. The St. Regis Residences Boston will feature 114 luxury waterfront condos at the former home of Whiskey Priest and Atlantic Beer Garden. Condos at The St. Regis Residences, Boston will run from one bedroom to penthouse units. The latest news from 150 Seaport Boulevard comes on the heels of Raffles Hotels and Resorts announcing its intention in April to bring 146 branded condos, the first of their kind in North America, to 40 Trinity Place in Boston's Back Bay. In addition to Raffles, which is expected to start pre-sales this year, neighboring projects at Pier 4 Seaport and Echelon Seaport are selling quickly for top dollar in their respective pre-sales phases, which should bode well for The St. Regis Residences, Boston. St. Regis will also bring ultra-luxury signature services to 150 Seaport Boulevard including around the clock concierge and butler services. Additional 5-star amenities at The St. Regis Residences, Boston will include a swimming pool, spa, library, golf simulation room and health club, all exclusive to St. Regis, Boston residents. St. Regis Residences, a subsidiary of Marriot and Starwood, are internationally renowned for their luxury services and amenities. With locations in prime destinations such as Abu Dhabi, Deer Valley, New York City and San Francisco, the St. Regis Residences, Boston will bring a new level of luxury to the northeast luxury condo market. 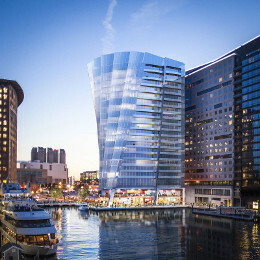 Designed by Howard Elkus of Elkus Manfredi Architects, The St. Regis Residences, Boston will feature a stunning design rising 22 stories in the curvilinear shape of a sailing ship that will surely improve the skyline on Boston's waterfront. In addition to 114 luxury residences, The St. Regis, Boston will also feature a signature restaurant on the first two floors that will be open to residents and the general public. The St. Regis Residences, Boston are expected to begin pre-sales in Fall 2018 with expected completion sometime in 2020. The long-awaited Winthrop Square Tower, located at the former site of the Winthrop Square Garage at 115 Devonshire Street in Boston's Financial District, has received full approval from the Boston Planning and Development Authority. Winthrop Square's developer, Millennium Partners, who also built The Ritz Carlton in 2001, Millennium Place in 2013 and Millennium Tower in 2016, proposed 500 ultra-luxury condos, 550 underground parking spaces and 750,000 of commercial office space. The first three floors of the Winthrop Square Tower will be home to a 12,000 square foot Great Hall, which would create a connection between Winthrop Square and Federal Street as well as 31,000 square feet of restaurant/retail space and 21,000 square feet of shared meeting space. The Winthrop Square Tower will rise 53 stories and 691 feet making it one of the tallest residential towers in the Northeast United States. Based on the success of Millennium Tower, Winthrop Square should have a massive slate of amenities and additional luxuries for residents that are starting to become more of the norm in Boston buildings, see: the recently announced Raffles Hotel and Residences in Boston's Back Bay. 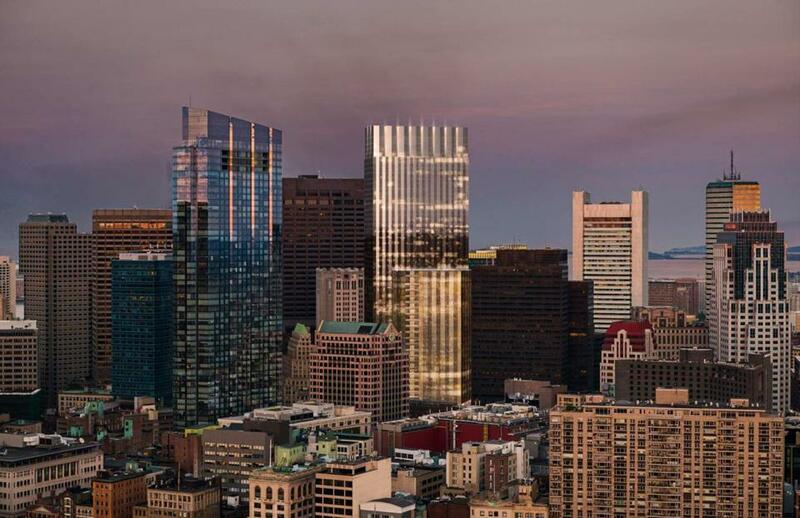 The Winthrop Square Tower will break ground in the Second Quarter of 2018 with anticipated completion in the First Quarter of 2022. To receive updates Winthrop Square, get on the Elevated List here. The Archer Residences, one of Beacon Hill's most anticipated luxury condo developments, has released select pre-construction units to the open market. The Archer Residences will be comprised of 67 ultra-luxury condominiums ranging from 1 Bedroom to 4 Bedroom units. Units will start at around 800 square feet and increase to a whopping 6000 square feet with prices ranging from $1,300,000 to $18,000,000. 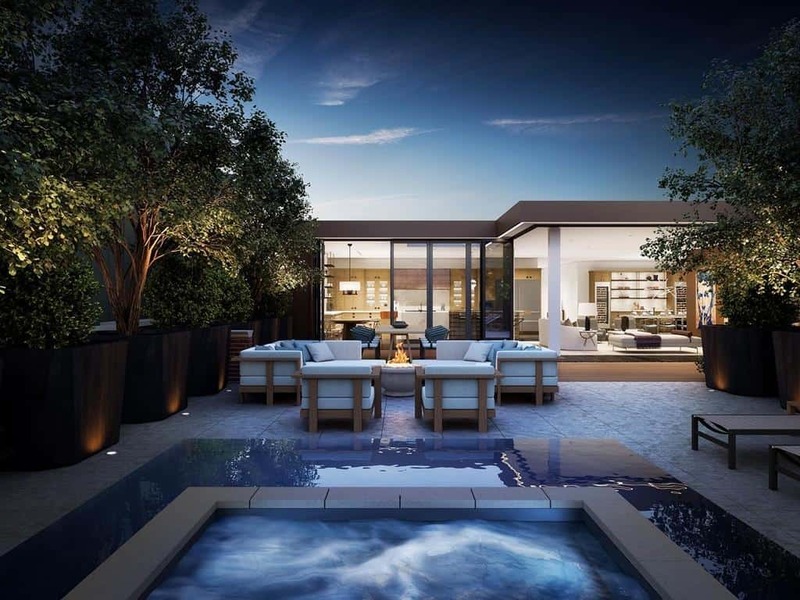 The Archer Penthouse 1, which recently hit the market, will be a gargantuan 5,998 square feet and boast 4 bedrooms, 6 bathrooms, a media room, office, lounge and massive private roof terrace spanning 2,326 square feet with jacuzzi and infinity edge pool. Unit PH1 is asking $18,000,000. Condos at The Archer Residences will feature oak flooring, gas fireplaces, custom finishes in premium stone and polished copper as well as a slew of luxury amenities rarely seen in Boston. Such amenities will include a resident Club Room, Boardroom, Private Dining, Valet Parking, Fitness and Wellness Center, Common Roof Terrace, Pet Spa, Bike Storage, 24/7 Concierge and Doorman. Expected completion for The Archer Residences is 4th Quarter 2019. Currently, buyers are able to select between transitional and contemporary kitchen finishes. The Archer Residences are ideally located in the heart of Beacon Hill, steps from the Boston Common, Downtown Boston, Newbury Street and the Back Bay. Contact Elevated Residential for additional information and showings. Below is a full list of available units, pricing and amenities at The Archer Residences. 232 OC, one of South Boston's brand new luxury condo developments located at 232 Old Colony Ave., has started the pre-sale phase for 22 luxury condos. 232 OC will feature 1 bedroom, 2 bedroom and 2 bedroom plus den floor plans ranging from 736 square feet to 1500 square feet. Prices are starting at $550,000 for 1 bedroom units and be capped at around $1,200,000 for larger 2 bedroom Penthouse units. All units come with at least 1 garage parking space. 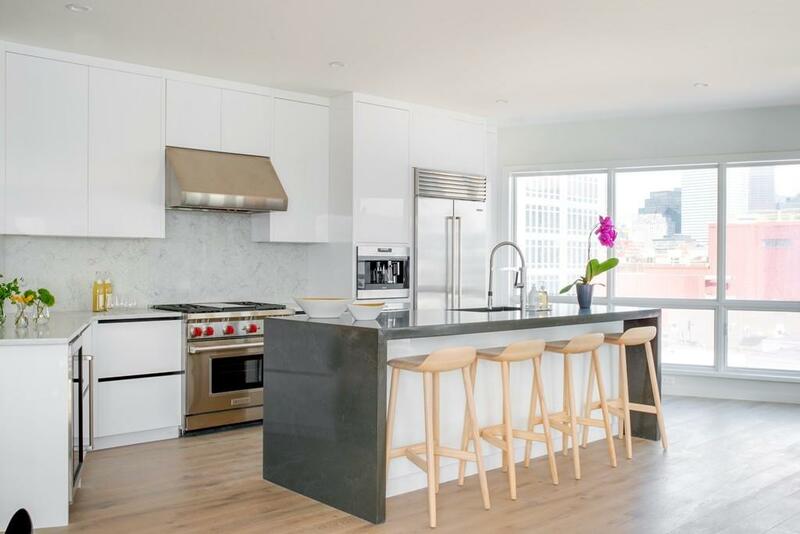 The condo fees at 232 OC will start at $257/mo, which is relatively inexpensive given some of the high monthly HOAs currently attached to many of South Boston's new construction luxury condo units. 232 OC will also offer various amenities (listed below). 232 OC is ideally located at the former site of The Stadium Sports Bar and directly across from the highly-anticipated mixed-use development Washington Village. 232 OC is just around the corner from Telegraph Hill, which offers great food and drinks to neighborhood residents as well as a 5 minute walk from the Andrew Square Red Line T and Bus Stop. Units at 232 OC will have varying views of the Back Bay and Boston skyline from private terraces. 232 OC's ground level will likely be home to a new restaurant. For more information on 232 OC, contact Elevated Residential today.